Since 1996, Mercal Consulting Group has been providing Marketing Marketing Consulting services to help companies grow and expand their activities. 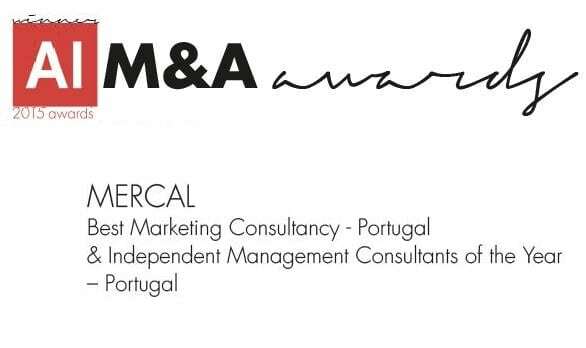 Mercal is considered the Best Consulting Company by the prestigious worldwide organizations ACQ5 and Acquisition International. The marketing management consulting intends to provide a global and integrated response in the main aspects of strategic management, marketing, communication and branding consultancy. The services of Marketing Consulting are tailored to each project in order to achieve the desired objectives. Mercal activities aim at the implementation of strategies and practical actions, through advanced and deep research processes. Since 1996 we have built long-term and reliable relationships with our customers, creating successful and future partnerships. For each project, we select specialized consultants according to the sectorial reality of the companies and the needs of each project. We provide Marketing Consultancy services at strategic and operational level. We maximize the profitability of the different business projects, depending on the sector and market realities. Our experienced marketing consulting team will define and help to implement the strategies and action plan to be followed. We generate for the company a solid, effective and long-lasting results-based marketing performance. Market Studies, Customer Satisfaction Assessment, and Benchmarking. Monitoring the performance of the company in the market.